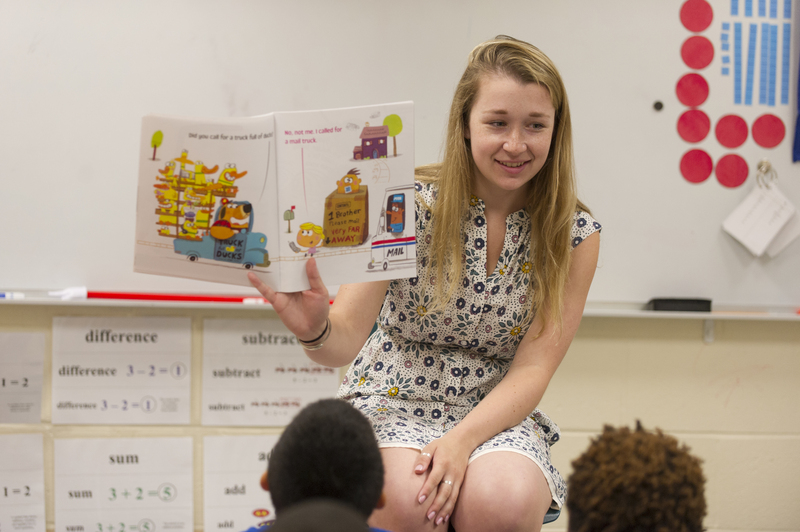 Undergraduates at UMass Amherst may major in education with a concentration on early childhood education, leading to initial licensure and/or Massachusetts Department of Early Education and Care Lead Teacher Credentials. Early childhood education students engage in a rigorous academic program as well as a carefully sequenced series of field experiences in diverse educational settings. They apply to the major once they have completed their prerequisites, generally in the spring of their sophomore year. While education is their primary major, they also complete a secondary major in the liberal arts, social sciences, or sciences. Graduates have been very successful in securing teaching positions in public and private schools in Massachusetts as well in as other states. The major is 44 credits, 11-12 of which are field-based in schools. Students complete field experiences in a variety of settings and grade levels. Throughout their course of study, students also use the UMass-Tk20 online course management and e-portfolio system to keep an organized record of their pre-practicum and practicum work. Students seeking licensure in Early Childhood Education (PreK-2, students with and without disabilities) must pass the Early Childhood and Foundations of Reading MTEL prior to the spring semester of their senior year. *Students seeking MA DESE ECE licensure may not register for EDUC 500Y until they have passed the Early Childhood and Foundations of Reading MTEL. Students seeking DEEC Lead Teacher Certification (Infant/Toddler or Preschool) should enroll in EDUC 598B. Students apply to the program in the spring of their sophomore year and admitted in their junior year. Prior to admission, students who plan to apply receive advising from the Educator Licensure Office (W144 Furcolo Hall). Once accepted, an Early Childhood Education faculty member will serve as the academic advisor. Students will also continue to seek advising from their other major advisor. Criteria for admission include cumulative GPA, completion of prerequisites and strength of the personal statement. Students interested in the Education major should seek advising through the Educator Information Office & Educator Licensure Office (eio@educ.umass.edu or 413-545-2701) in their freshman year. Please contact the Educator Information Office & Educator Licensure Office (eio@educ.umass.edu or 413-545-2701) for more information on the Education major.